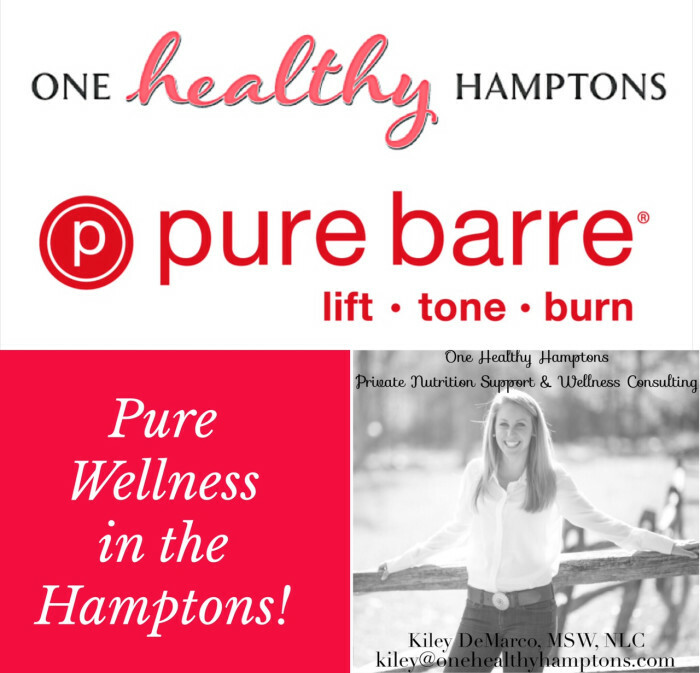 If you haven’t tried a barre class yet, now is the time and Pure Barre Southampton is the place to lift, tone, burn, and take advantage of PURE WELLNESS! Pure Barre has been OHH favorite ever since they opened in June, 2014, and now we’ve partnered up for 15% off Pure Barre classes AND OHH nutrition counseling so that YOU can stay fit and healthy all in one place! That’s right, come to Pure Barre for classes and get 15% off a nutrition package with yours truly as well as 15% off your Pure Barre package too! That’s a PURE perfect combo for being your healthiest, happiest you! I myself have Pure Barre Southampton to thank for toning my arms for my wedding dress! I didn’t want all that pulsing to go to waste, so I practiced what I preach about healthy eating and self-care. 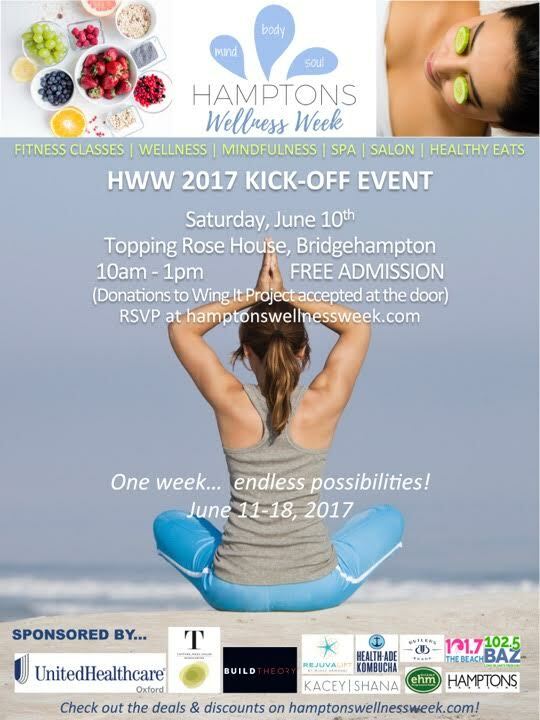 If you want in on the PURE Wellness, just email kiley@onehealthyhamptons! Offering at least three classes a day, seven days a week, twelve months a year, this barre studio is here to stay. Conveniently located in Southampton village, Kaitlin, Leslie, and Patti, excitedly opened the studio to fill a void in fitness out East by bringing their favorite workout to their favorite place, all year round! Like-minded locals can appreciate their welcoming approach, reliable schedule, fun atmosphere, convenient location, and dependable full-body workout delivered in every class. 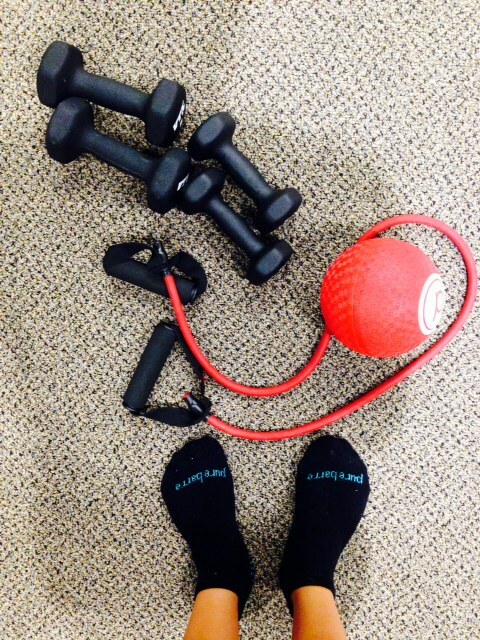 Pure Barre is the perfect mix of strength and stretch, fun and vigor. Unlike some other hot group-fitness classes sweeping the nation today, Pure Barre focuses on precise movements to strengthen muscles and the mind-body connection simultaneously. The low-impact moves can really be done anywhere, but the sequence of the Pure Barre method ensures a heightened sense of awareness and appreciation for this important connection. Concentrating on nothing but these movements allows guests to block out the chaos of life outside the door, creating a tranquil energy throughout the studio. The 55-minute workout targets all of those trouble zones head to toe, building long, lean muscles. While the technique stays consistent, the fun music and choreography sequence prohibit boredom and plateau. While you can always rely on that 90 second plank, working your booty ’til it hurts, and abs for days, the new routine keeps us coming back for more. The Southampton Pure Barre studio and great team of instructors are incredibly welcoming, so newbies should feel at ease and excited to tuck it out. The studio constantly offers great deals and promotions, so just ask before you pulse! Get ready to shake, tuck, sculpt, lift, tone, and burn every muscle group in your body. Come one, come all, meet me at the barre for the best toning and nutrition team in town! No more excuses, put yourself, your body, and your health first! Visit Pure Barre at 5 Windmill Lane, Southampton, soon and check out Pure Barre Southampton on Facebook and instagram @purebarresouthampton and click here for more information about OHH’s private nutrition and wellness consulting. One Healthy Breakdown: Meet me at the barre to LTB and chat nutrition!